It’s National Reading Month, and I hope whatever it is you’re reading — a novel, memoir, blog post, dossier on a foreign diplomat — you’re enjoying it and sharing it with someone. Personally, I share books with people by leaving unmarked packages on their doorsteps. But I’m told other people prefer to share their reading lists through social media. Seems like a security risk to me, but to each her own. If you’d like some advice on using social media, Ahna Ziegler has been sharing her expert insider tips on the Coffee Break vlog over the last few months. (She calls the video series Social Media 101. I call it How Not to Be a Spy.) Yesterday she gave some helpful intel on starting a blog. The original video we filmed contained a lot more information — the kind of technical data that you can only obtain from infiltrating certain organizations (and no, I can’t tell you which organizations — need-to-know basis and all that). However, our video editor was worried about what would happen if that data fell into the wrong hands. He won’t admit to anything, but some sections of the video were mysteriously erased from the drive. Along with our notes. And the backup files. As usual, what follows is top-secret information. Ahna and I put in enough security measures to ensure that they won’t discover we leaked this, but if they do ask, you didn’t get this from us. Ok, so you’ve chosen the awesome title for your blog (and it had better not be Bloggedy Bloggy Blog; you know that’s ours) and the platform you’re using. Next, choose a theme. Our best general advice is to choose something with a recent creation date so that you know the developers are still supporting it; often the theme creators themselves can answer your CSS questions on a Blogger or WordPress forum. Once you’ve applied your theme, there are probably things you’ll want to change. This is why you will now be embarking on the incredible adventure of learning code! Welcome aboard. Now, we won’t try to teach you everything about CSS here; that would be impossible (plus, despite what she tells Katherine, Ahna doesn’t know everything about the Internet). We will, however, try to teach you how to teach yourself CSS. You’re all English nerds (I assume), so you just need to think of CSS as a different set of grammar rules — but even better, because there are no weird exceptions and everything has only one place to go. Diagramming sentences was awesome, right? You’re actually going to love CSS. 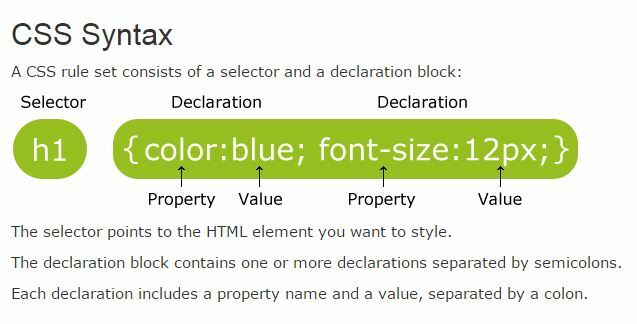 Now you just need to get familiar with the language of HTML and CSS — which words to use for selectors, properties, and values. Again, w3schools can help with this, but also Google. Bonus spy tip: if you highlight a section of your webpage and right click (or control+click), then select “inspect element” (if that doesn’t show up, try using Google Chrome instead of your current browser), you can see all of the code happening behind the scenes! I hope that data was helpful for all you potential/fellow bloggers. Now, if you’ll excuse me, I have a vault to break into a train to catch.